God thank you for each struggle…they made me strong. Thank you for being righteous…and showing me where I was wrong. 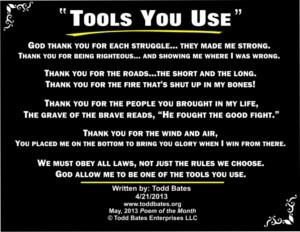 Thank you for the roads…the short and the long. Thank you for the fire that’s shut up in my bones! You placed me on the bottom to bring you glory when I win from there. We must obey all laws, not just the rules we choose. 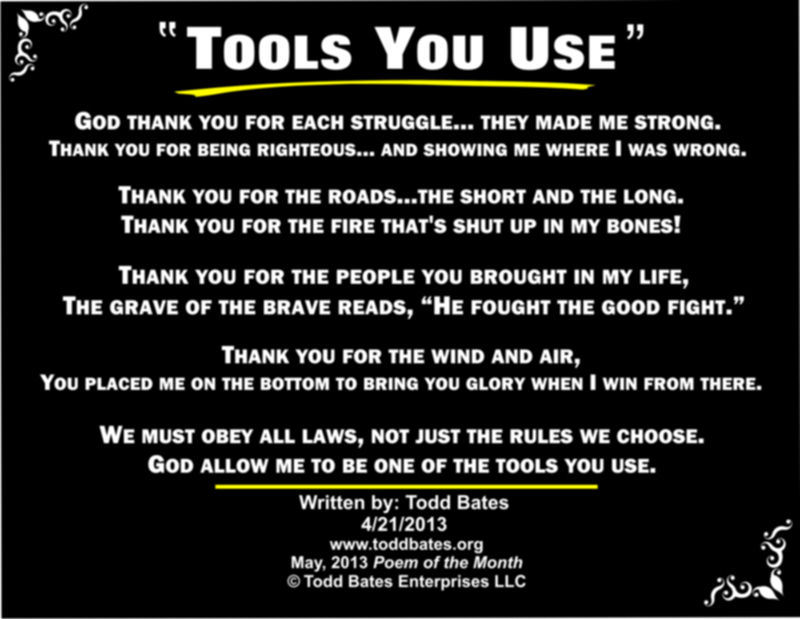 God allow me to be one of the tools you use.